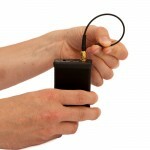 The FireStorm wireless firing system is a rugged, professional and user friendly firing system. The firing system is designed and supported by EasyPyro Ltd and manufactured to the highest quality standards in the UK. The system has been specifically designed for the reliable wireless control of fireworks and pyrotechnics. The FireStorm firing system is of significantly higher quality than many other firing systems. We manufacture the FireStorm firing system, so we can also offer unbeatable after sales support. 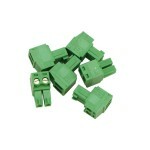 Very flexible antenna for the FireStorm Wireless F..
6 x Spare pluggable terminals for the FireSto.. Screwdriver for use with terminals on FireStorm RX..